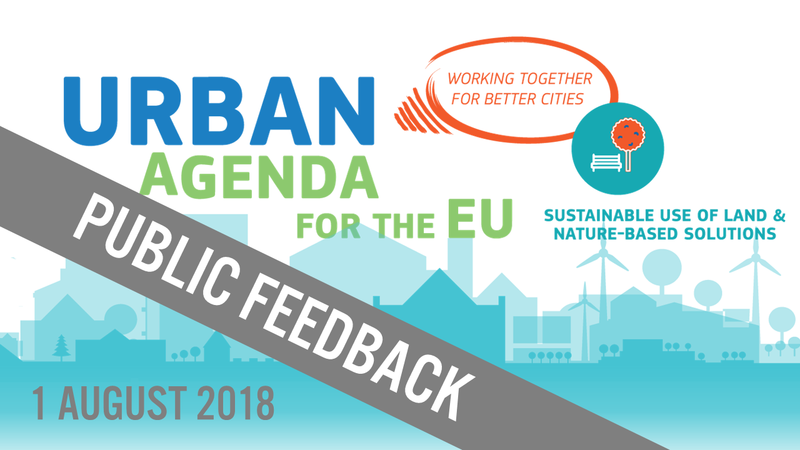 The online Public Feedback of the Sustainable Use of Land and Nature-Based Solutions Partnership kicks off today, on 1 August 2018, and will be accessible online for six weeks, until Wednesday, 19 September 2018. Have your say on the Sustainable Use of Land and Nature-Based Solutions draft actions and join the Public Feedback! To read all draft actions in full detail, please consult the draft Action Plan and the Action Plan section. Each draft action description in the Action Plan section (header menu on the top of the page) contains a hyperlink to a short survey on that draft action, which you are kindly invited to answer - just click on the blue button to share your thoughts with the Partnership!